That’s it. I’m a candle addict and I need professional help. When Yankee Candle emailed me about their Summer Sale earlier this month I could not pass up the opportunity to have a Yankee candle summer sale haul. Read on to see what goodies I picked up at a discounted price! I love a large jar candle and usually spend around £20 for them so for £13.99 this was a total steal during the Yankee candle summer sale haul. 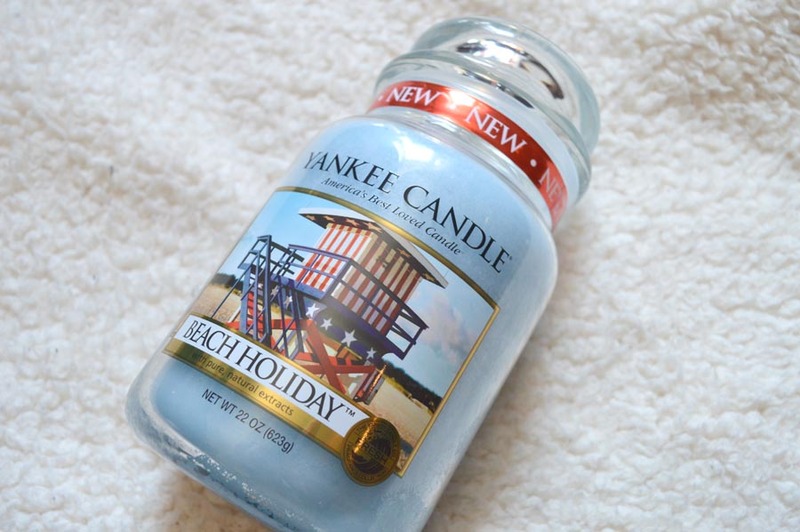 I hadn’t smelt Beach Holiday before but it looked like a really fresh candle that would contain connotation of ocean smells which I knew would remind me of Devon so I whacked it in my basket before it sold out. It arrived and I wasn’t at all disappointed – think fresh cotton smell crossed with a soft ocean breeze and this is this candle in a nutshell. It smells really clean and will be a bathroom candle for me to burn over the summer. I am having friends and family stay over the summer holidays and know this will help make my bathroom really relaxing for them plus large jars last forever and will go with the blue colour scheme we have going on. I love this one and recommend it to anyone who loves clean and fresh smells. I love Yankee Candle tealights as they are extremely large and are a great companion for my wax melts plus smell gorgeous. These were the fragrance of the month at the time of buying which means I got them at a reduced rate, instead of the £6.99 RRP. 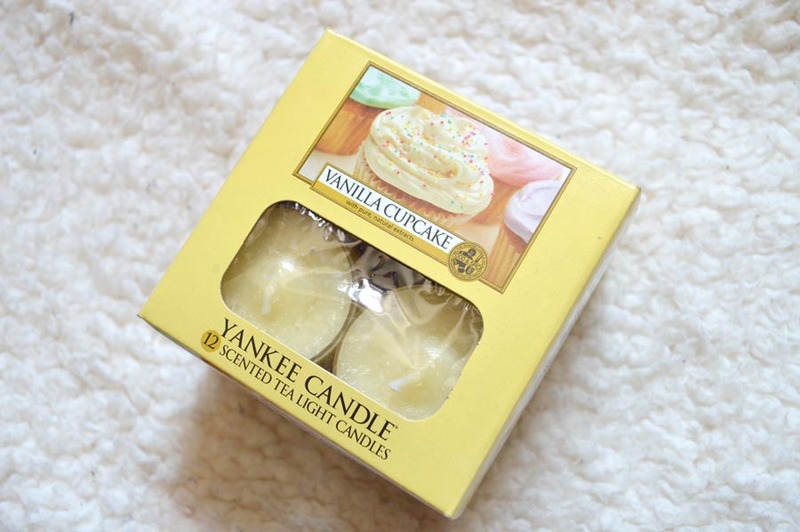 I had a Vanilla Cupcake candle beforehand and it smelt like freshly cooked sweet waffles, again a smell I associate with a town from Devon which is why I wanted to re-stock. The candles for wax melts can be unscented however I love that these add another depth to the melted wax tarts and last incredibly long. I love them and definitely want to pick up more of these next time I do another Yankee Candle haul! I recently broke a votive holder I already owned and wanted a replacement. I saw this gorgeous hand painted holder in the sale and had to snap it up! For £3.99, this was incredibly cheap, this design is exclusive to the website and can’t be bought in stores and it’s just so cute! When it arrived I noticed it was made out of china and is an incredible quality, it fits votives perfectly and will ensure it melts equally which can be a problem with cheaper holders. This looks so nice in my flat and I’ll be buying these as gifts for others as I know my friends and family will find these adorable too! Having bought the new votive holder, I wanted a new votive candle to burn right away! 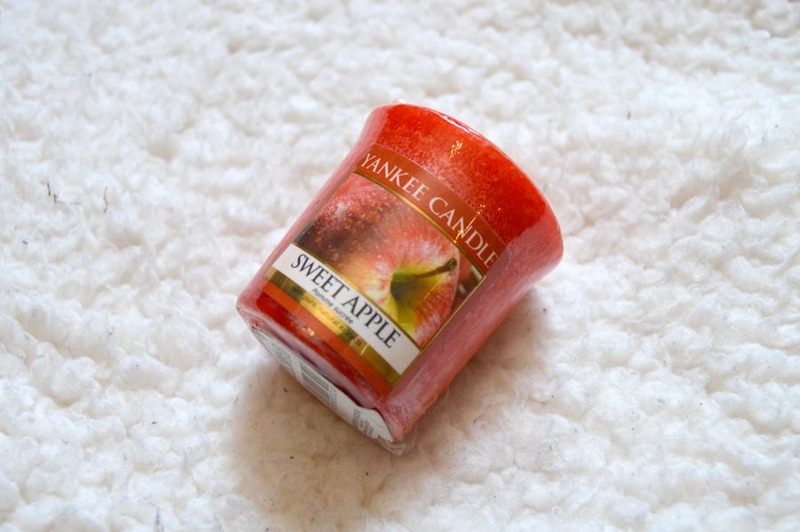 Sweet Apple is a fragrance I have wanted to try for quite some time and when burning it is incredibly summery and fresh. It remind me of my childhood and I will definitely pick up a larger candle next time! 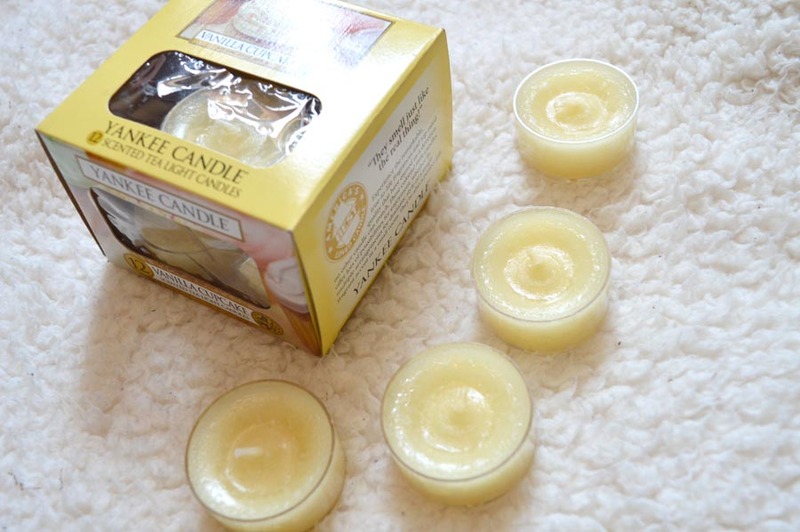 These candles are usually around £1.80/£2 and are a really inexpensive way to try new fragrances that Yankee Candle release without splurging. 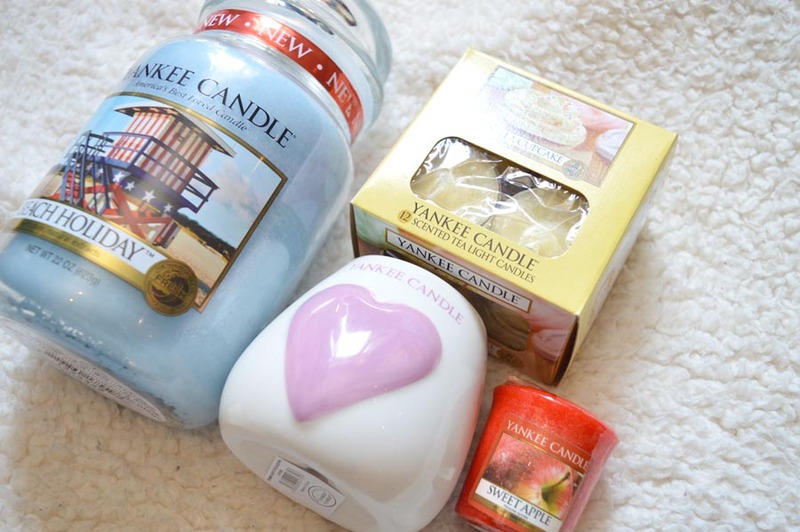 Have you also enjoyed a Yankee candle summer sale haul? What’s your favourite scent?